April is National Oral Health Month! Have you seen your dentist? This month is dedicated to bring awareness that the mouth’s oral health is vital and the health of our mouth is connected to our entire body’s health. Experiencing poor oral heath such as bleeding gums, constant infections, or frequent irritation can really affect a person’s quality of life by affecting their physical and mental well-being. Pain, missing teeth, crowded teeth, and jaw alignment influences the way one speaks, eats and overall eminence of interaction with others. Everything that you experience in your mouth affects your entire body. This is why it is important to see your dentist on a regular basis and invest in orthodontic treatment when recommended. A healthy and beautiful smile free of pain, odor, problematic teeth, says much more than anything that words can formulate. A main reason why regular visits to the dentist and proceeding with recommended treatment is because oral health issues may be a sign of something very serious such as oral cancer. 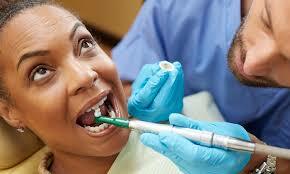 Per year, 3,200 Canadians are diagnosed with oral cancer and sadly there are 1,050 deaths resulting from oral cancer. This devastating cancer has a very low survival rate due to late diagnosis. With the availability to get early detection, the survival rate can be dramatically raised. 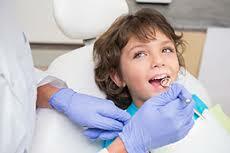 Please visit your dentist when recommended, it is a priority that should be on the top of your list. People often feel that they do a good enough job at home with brushing and checking for suspicious spots, areas, however this is not suffice. A professional sees more in depth and can see early signs before it gets to the point of concern. Be aware, be proactive, and maintain your oral care. Your dentist and specialists are your friends, they care and want the best for you so you can be happy and healthy. Are you in need for orthodontic treatment? Concerned about the function and appearance of your teeth? If you or a loved one has a concern about the alignment and or function of your teeth, feel free to call our office or email us to set up a complimentary consultation with Dr. Nima Mir to see if orthodontic treatment is recommended for you. Everyone is different and therefore requires a customized treatment plan.